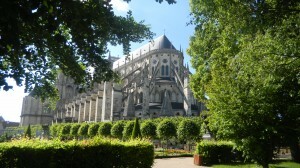 Saint Etienne’s Cathedral in Bourges, France; The Most Beautiful Gothic Cathedral? Chartres Cathedral and Bourges Cathedral initiated the two classic High Gothic styles. 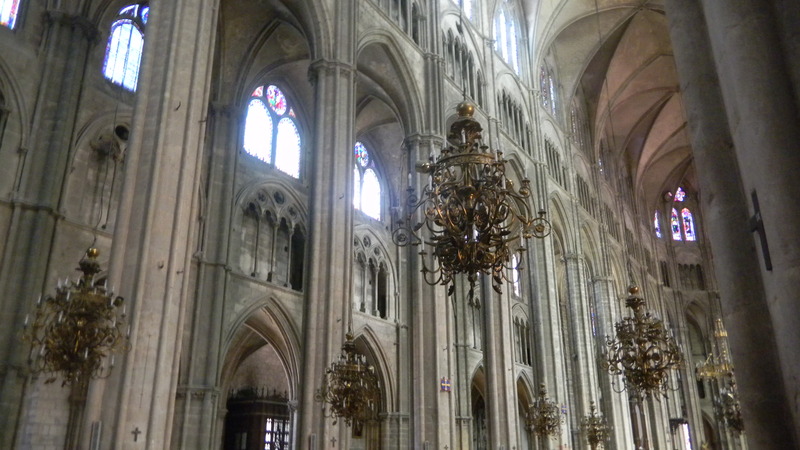 Chartres was imitated more, and it’s much better known. 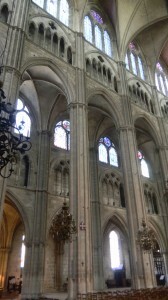 But Bourges Cathedral is arguably more beautiful. Yeah, it’s pretty on the outside, but magic happens when you enter. 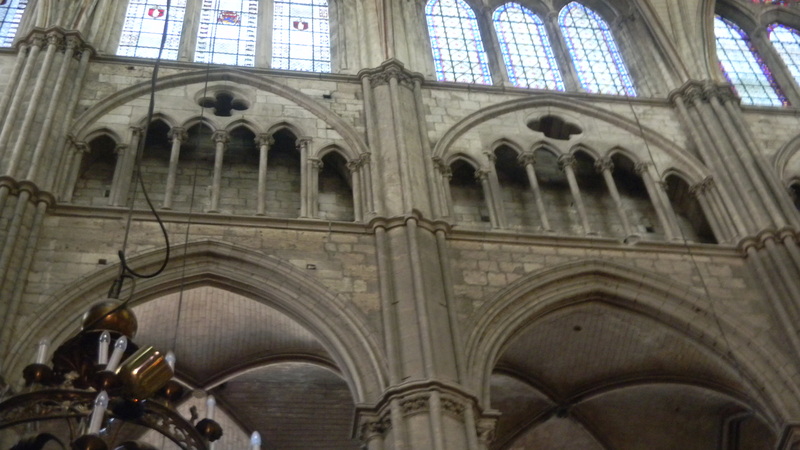 Bourges Cathedral has TWO levels of arcade/triforium/clerestory. The lower level is against the outer wall. So when you enter, your gaze immediately expands horizontally, as well as vertically and frontally. The effect is very spiritual–all spatial dimensions dissolve into infinity. Maybe this was too spiritual for the Church and Crown. Chartres Cathedral has only one set of levels, along and above the inner columns. So the outer wall is blank, and not as tall. 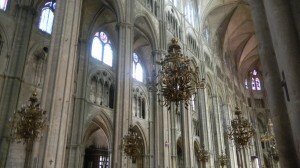 This is the style that was imitated in the glorious cathedrals in Amiens, Reims and Rouen, and which spread to many other countries. Their strictly vertical and frontal orientations pull your gaze towards the altar. This form was in line with both Church doctrine and King Philippe Auguste’s political centralization in the early 13th century–he was galvanizing the country to drive the English under King John out of France. But Bourges’ form is more subtle–it fills all spaces with divine light. But this form was potentially subversive–by opening up the lateral gaze to divinity, it suggests that all things are spiritual, without following established doctrine or politics. It’s also very French–it was followed in some towns in western France, but other countries adopted the more regimented Chratres style. Yesterday’s posts on the Eiffel Tower show some of the French genius for light-hearted play with the infinite variety of the world’s forms. But the French imagination was also in full bloom in the Middle Ages. Nobody can keep its joie de vivre down for long.